Did I tell you how much I love making these new heliumTALK podcasts? 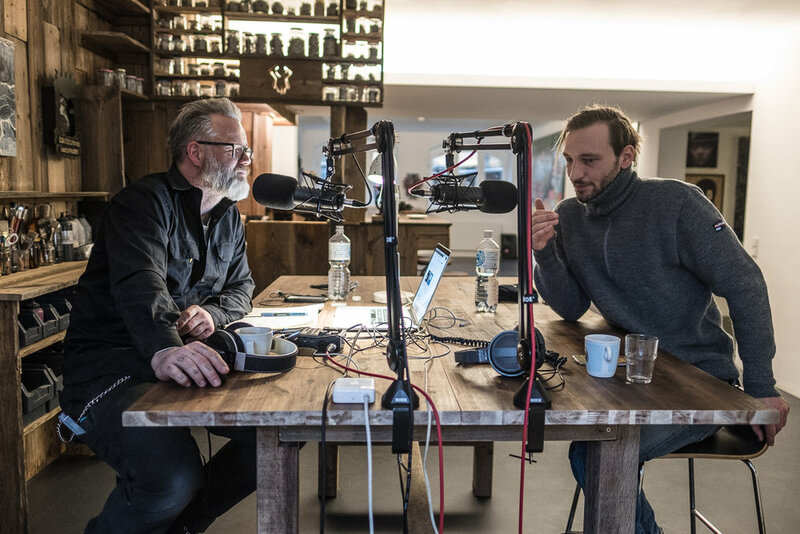 Here’s me recording the intro to the very first audio podcast we produced on The Ranch (it is also a kind of preview of the rebuilt part of the gallery that is now exhibition space, artist workshop and podcast studio alltogether). For this very first purely audio heliumTALK I spoke with artist Darko C. Nicolic, and it will be launched next Monday. In german. Well. First english language podcasts are coming LATEST in April. To stay ahead of it all, please check www.heliumtalk.com. Recording the heliumTALK podcast with artist Darko C. Nicolic at the heliumcowboy artspace.